One of my favorite perennials is the Blazing Star, or commonly referred to as ‘Liatris’ as its latin name. It is also called Gay Feather as I’ve seen large nursery companies refer it to. There are a lot of varieties of Blazing Stars, about 30 total, but overall they have many similar characteristics. They are generally found in prairies and can tolerate dry to moist soils. They all have similar habits, with a basal leafing habit and spike flowers that are purple (sometimes white) and feathery looking. The differences occur in how tall they get or small variances in their habit (number of spikes, flower structure). Depending on what variety, they may reach between one to five feet tall. They bloom mid to late summer and open a series of flowers along the spike from top to bottom, which is unusual for spiking flowers. They generally like full sun but can tolerate a small amount of dappled shade. Their corm/bulb forming clumps can be divided once large enough, after a few years. Space plants one to two feet apart. Do not plant them in areas where their roots would stay wet. 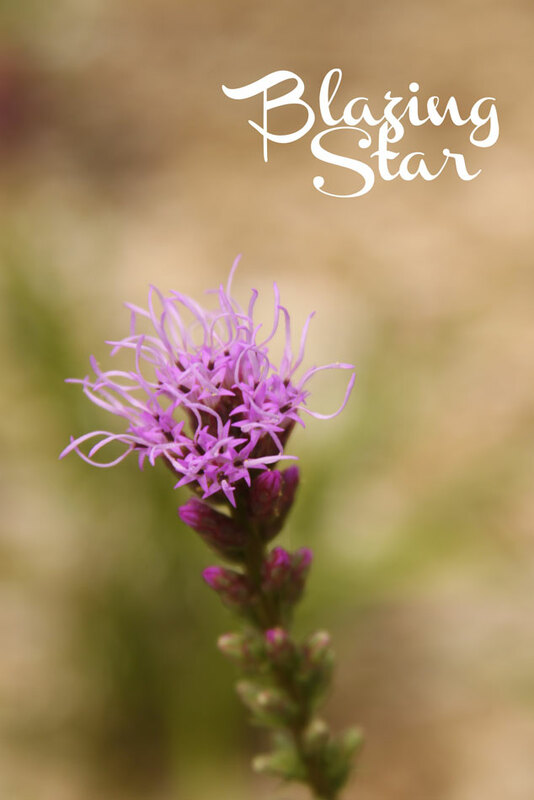 Blazing Star is part of the Aster family and are very attractive to butterflies, bees, and hummingbirds. 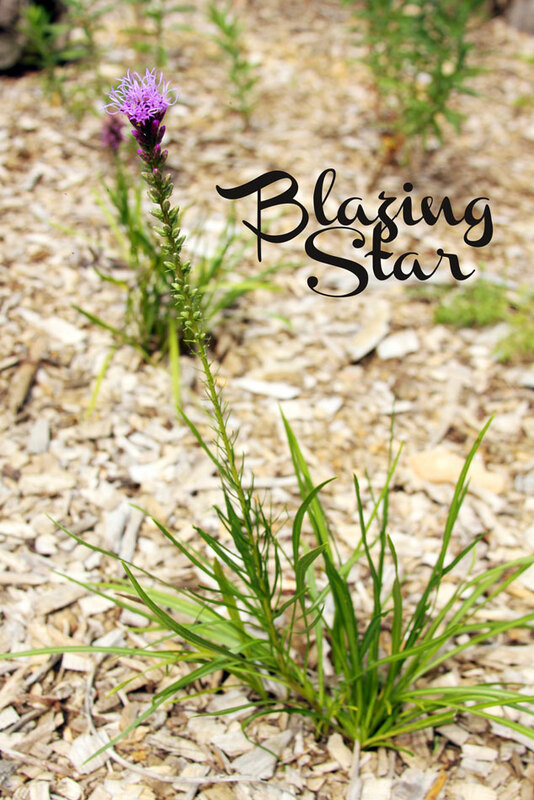 Blazing Star is very easy to take care of and drought tolerant. Plant Blazing Star among echinacea, coreopsis, or within a plot of short grasses to watch the plums rise above. It also makes a great cut flower.